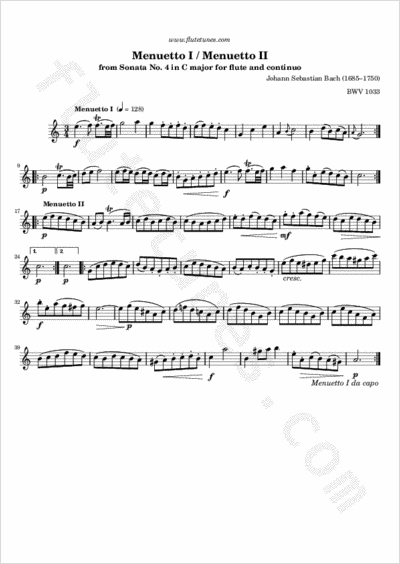 Is Flute Sonata in C major, BWV 1033, truly by a Bach? And if so, which Bach? This is one of three “Bach” flute sonatas of questionable attribution; the earliest surviving copy was made by Bach's son Carl Philipp Emanuel, who may simply have been serving as his father's copyist. The work falls into four movements, in something of the chamber sonata style but without explicitly naming any dance patterns until the ending fourth movement, which is actually a pair of graceful minuets. Typically for this format, the second is capped by a terse repeat of the first.